In a victory for consumers and yet another massive blow to Monsanto, a federal jury on Wednesday found the company liable for causing a California man's cancer and ordered it to pay $80 million in damages. "Bayer-Monsanto has known for decades the cancer-causing properties of Roundup, and I applaud the jury for holding the company accountable for failing to warn consumers of the known danger." These appeals will be on-going long after the victims are dead and buried. That, or some settlement for pennies on the dollar. That’s what these corporate monsters do and they have the money to do that: bankrupt the victim. Welcome to the consequences piling up of greed weaponizing agriculture. I look forward to analyses from the spectrum of perspectives inherent in so fundamental a keystone in human life. The combination of Bernaysian powers to manipulate false promises and the power of the military to - totally ethics-free - concentrate (THE key notion) the power to manipulate is a case study in how to degenerate. The inversions, diversions, reversals, lies and resulting victimization of any and all connected with it, except volume and inflation of false values, which, in the long run are not immune to poisoning. This is the agent orange producer plying its trade domestically and internationally to serve its paymasters no less than its previous Catch-22 role. There is evil in the world. Being reminded that the etymological root of the word contains implication of “off the mark”. Its worth contemplating the aggregate of evil and the outright documented lies of manipulated “research”. Time for Monsanto/Bayer to be forced to the limitation of f#@!ing only itself. I know far too much about Monsanto, as my father was a research chemist with them studying catalysts for the manufacturing of poly-styrene (styrofoam). At least it wasn’t glyphosate or agent orange. (I did my best to rectify things by helping to clean up petroleum products, solvents, nuclear wastes and fertilizers.) At the Texas refinery they disposed of unmarketable sludge products in “evaporation” ponds. I use the quotation marks because gravity had another idea in mind. The laissez fare mentality in the Texas government was AOK with it. Government must be decoupled from business and rendered to the People. This is premeditated mass murder, and in a sane society brushing it under the rug with a fine that amounts to less than 0.1% of what they earned from their crime should result in immediate disbarment on part of the judge. At least it leaves the door open for all the other victims to sue. It’ s not a victory for consumers; it a victory for one consumer. We can’t bring class-action lawsuits anymore. $80 million, while a lot for an individual, is pocket change for Monsanto. How meaningful is all that money if you’re dead? Another piss in the bucket fine for murderers. Cheer up, it’s Springtime, Weed & Feed, Round Up and all of the Poisons are proudly displayed in your nearby Garden Centers and Big Box Stores. Look at the checkout line and watch the Stupids buy all of it. At least Costco has stopped selling Roundup. Hopefully other big box stores will follow that lead. In addition to people and animals directly poisoned by Monsanto chemicals many farmers in the US and abroad have been bankrupted by Monsanto’s lawsuits (stopping farmers from using non GMO seeds) and have resulted in farmers becoming ill or committing suicide. Costco is a much classier act than the rest. Their food is better as well as other merchandise they sell. Their Kirkland Brand blows away anything Walmart has to offer. This is the same thing Big Tobacco got away with for decades before they were forced to put that infamous label on every pack of cigarettes. Erin Brockovich would be proud. Not that it matters with regard to contamination issues related to evaporation ponds and the (despicable) pro-industry mindset of many state governments, but did a refinery accept waste from an unrelated generator of waste, or did Monsanto own the refinery? I’m just curious if wastes, other than refinery wastes/sludges, were “allowed” to be placed in evaporation ponds at a refinery. If monsanto thought it could escape ridicule and law suits by becoming Bayer and moving to Germany, they are delusional. The anti Roundup/ Monsanto crowd here in germany are waay more organized and relentless than in America. Plus there is more support in the Govt. here for green issues and going after polluters. Monsanto was originally a petrochemical company. I am sure that lots of miscellaneous wastes went into the ponds along with the refinery waste. Holes in ground were very profitable back in the day. Monsanto doesn’t care whether its products cause cancer. It (actually, its insurers) will pay the $80 million judgment and yet STILL be allowed to continue manufacturing and distributing products that cause cancer. That is NOT going to accomplish anything constructive. The household use of glyphosate is a drop in the bucket. Commercial agricultural use is off the charts and is unlikely to diminish much for any reason other than the development of resistance in weed species, which is happening. Glyphosate has become a central tool in everything from wheat to apples that’s grown conventionally. It’s easier to use and more effective than other herbicides, and it’s also probably safer. Which is bad news since the increasing unreliableness of glyphosate and RoundUp ready GM crops is going to mean the return of 2,4D with a vengeance. 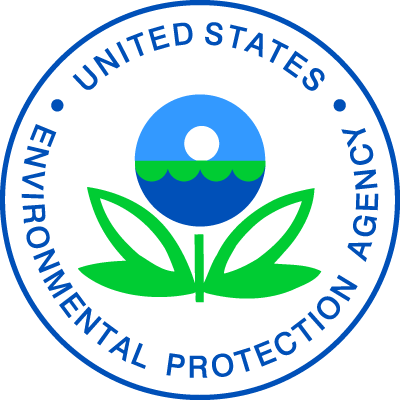 EPA is proposing to amend the registration of Enlist Duo to allow use on GE cotton in the original 15 states and extend the use of Enlist Duo on GE corn, soybean and cotton to an additional 19 states.